Tuesday, September 19, 1961, at Memorial Stadium in Baltimore and the Yankees are in town for a late season twi-night doubleheader. 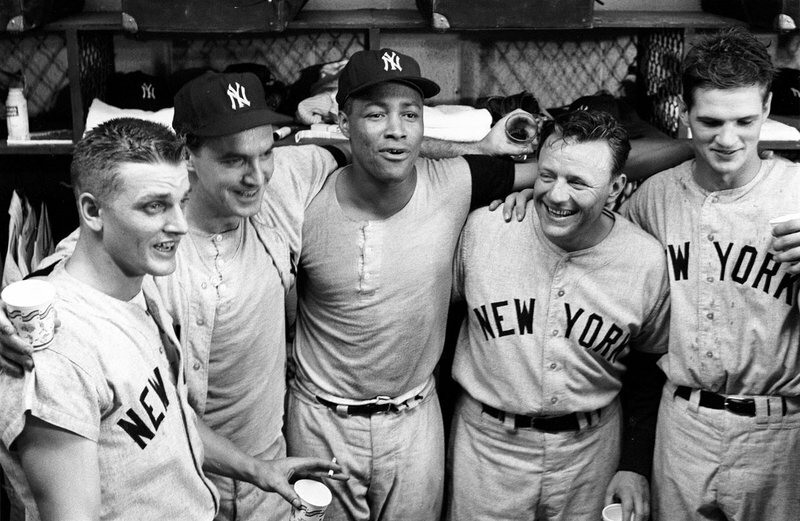 While the Orioles were at 88 wins in third place, and having their finest season since relocating from St. Louis in 1954, the Yankees were on the verge of clinched the AL pennant, with 102 wins coming into the series (they’d finish with 109, the storied franchise’s second highest win total after the 110 wins of 1927). The Bombers would have to sweep the twin bill to clinch – but the paid attendance of 31,317 on this late summer evening were also there for something far less common than mere pennants. 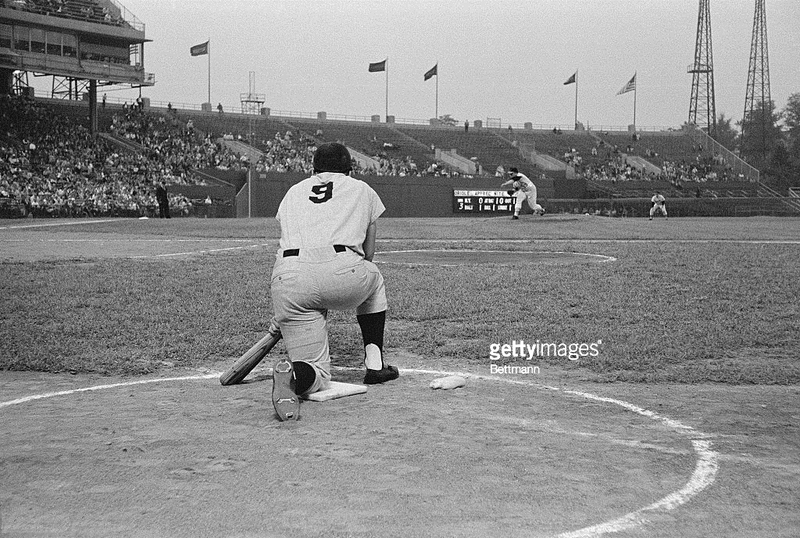 It’s the top of the 1st inning, 1 out, and Roger Maris would bat with a man on second after a Bobby Richardson leadoff single and a Tony Kubek sacrifice, against the Orioles’ lefty Steve Barber (Hank Foiles catching). In the top photo, Barber, already behind with a 3-0 count, is pitching carefully to Maris for good reason; he was sitting at 58 home runs on the season, needing only two to tie Babe Ruth and 3 to set the all-time record, with 11 games to play. Also of particular interest regarding his pursuit of the record, is that this twi-night doubleheader would be the Yankees’ 152th and 153th games of the season. As most are aware, Babe Ruth set his 60 home run record in a 154-game season, the standard for decades until this expansion year of 1961, when the season was extended to 162 games (as it remains today). For the majority of fans at that time already balking at these additional games skewing all MLB records going forward, it was felt that in order to be a proper record Maris would have to reach 60 (or more) within the 154-game time frame. If not, they argued, an asterisk should be placed beside his name in the record books to label this discrepancy. If he hit 2 (or more) this day, the record was unarguably his. So, all eyes were on Baltimore and Memorial Stadium this evening. 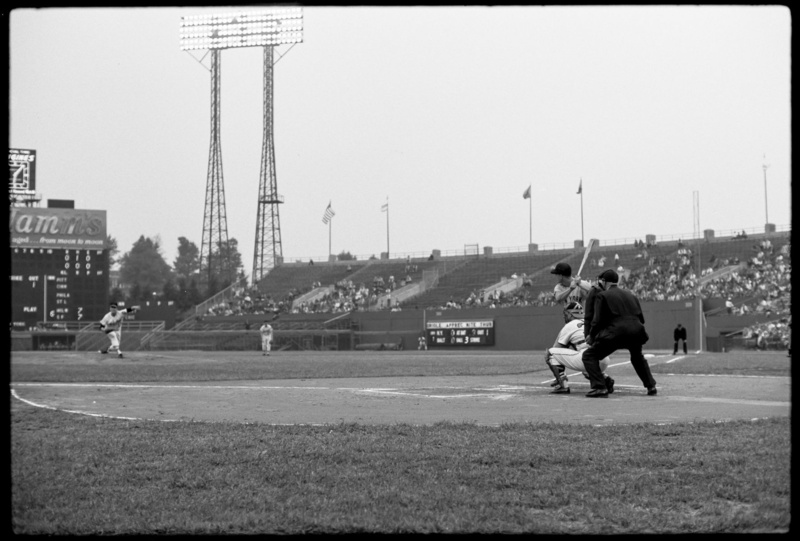 Maris would eventually walk in his first inning at-bat (left), and then Elston Howard would walk to load the bases, but Moose Skowron would ground into a 6-4-3 double play to end the threat. Maris and Co. would offer little in the way of threats the remainder of the game, as Roger would foul out in the third and ground out meekly to first in the sixth to go 0-3, as Steve Barber outdueled Whitey Ford 1-0, scattering 4 hits for the complete game shutout for his 17th win of the season, dropping Ford’s record to a still-lofty 24-4. Maris would then only muster a single in Game 2, in Game #153. 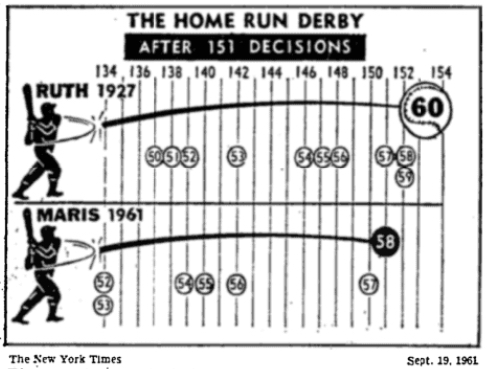 Maris would hit #59 the next night in Baltimore against Milt Pappas, the night that the Yankees finally did clinch the pennant, sparing the 154-game “record”. He’d then hit #60 against the O’s Jack Fisher almost a week later on 9/26 back in New York (in Game #158, which also happened to be future Oriole legend Boog Powell’s debut game), and then of course the celebrated #61 came off the Red Sox’ Tracy Stallard in New York on October 1 in the last game of the season (Game #162). And with the HR record now secured, the Yanks and their new HR king went on to win the 1961 crown, beating the Cincinnati Reds 4 games to 1. 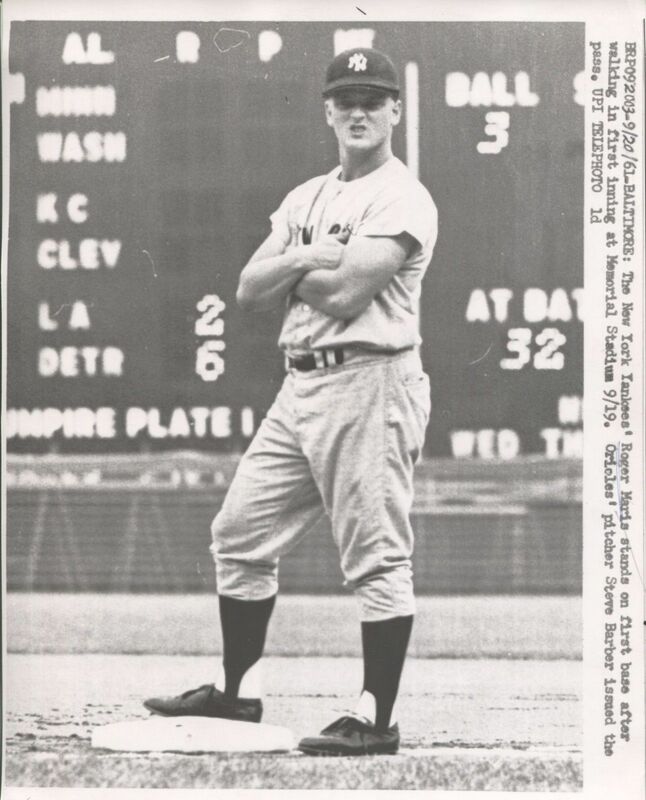 Audio above of the 9/20/61 game, with Roger Maris’ 59th HR and the Yankees clinching the pennant. 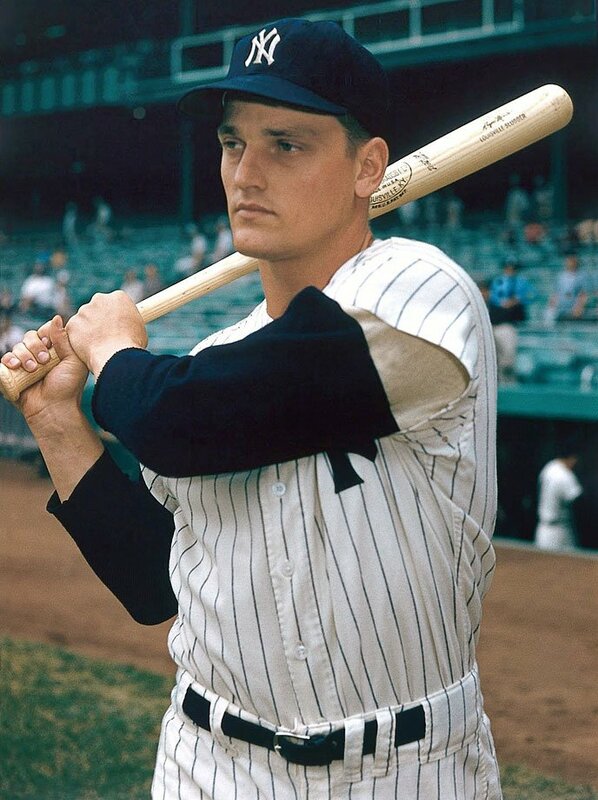 Roger Maris HR #59 AB at 22:30 (Phil Rizzuto with the call). Yanks clinch pennant at 1:43:26 (Rizzuto). Mel Allen postgame interview with Maris at 1:52:45. So, having only reached 59 by Game 154, the dreaded asterisk was added into the record books. Or was it? In fact, although many believe that it was a part of the official record, an asterisk has never been used to mark the accomplishment – it’s simply a myth. 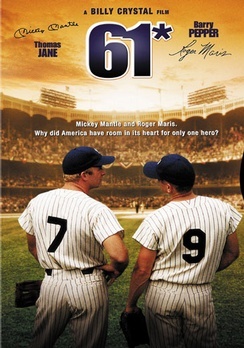 Similar to the myth that hitting 61 HRs in a few more games is less than a worthy record – although it was largely dismissed at the time (many felt that by missing the 154-game mark, the chase was over), by adding in other factors, such as having far more travel than Ruth ever dreamed of, night games, the emergence of relief pitchers, and on and on, the argument is quickly put to rest, in hindsight. 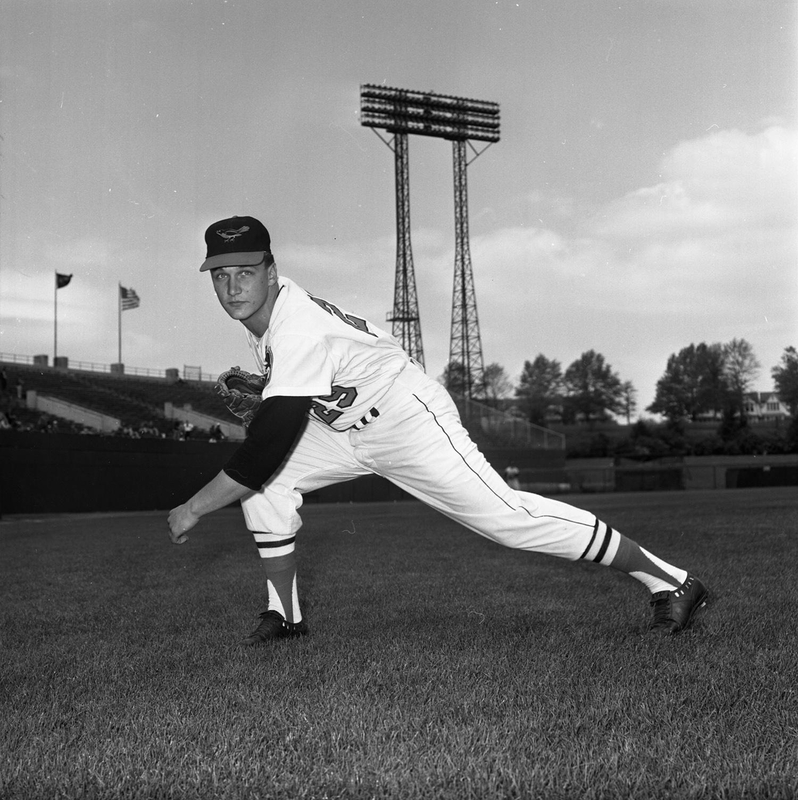 As for the man who held Maris hitless that day (and staved off the clinching celebration), Steve Barber would end up 18-12 and lead the majors in shutouts with 8, as the Orioles had their finest season yet in Baltimore, finishing third at 95-67. He would fare even better in 1963, his finest season, winning 20 (the first Oriole to accomplish that feat) and making his first All-Star team. The Orioles and Barber would win it all in 1966, winning both their first pennant and World Series championship in Baltimore – no asterisks required. Enjoyed this article and the photos. 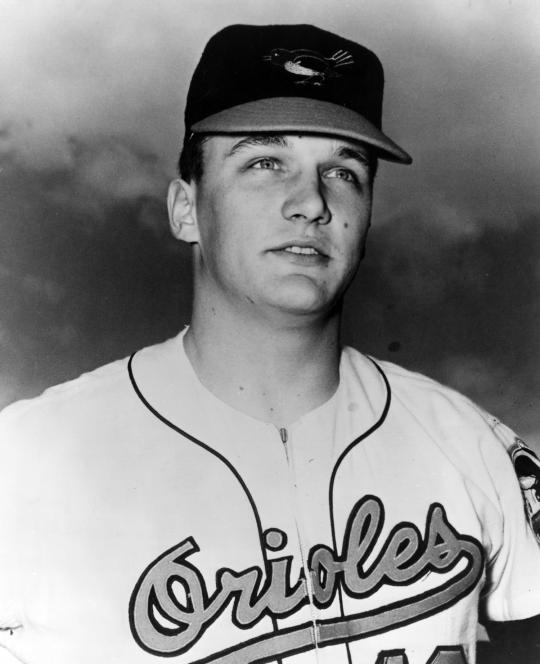 Steve Barber was my favorite Oriole when I was a kid. They said he was one of the fastest throwers in the league. The first to win 20 games as a pitcher! Always saddened me that Steve led the championship ’66 team with a 10-3 record the first half of the season, then fell prey to a sore arm, and never got to participate in the World Series. Afterwards, Steve was never the same. I am glad he is in the Orioles Hall of Fame. A pretty cool feat to come from Class D ball and lead the majors in shutouts in his sophomore year! He was 15-10 lifetime I believe against the Bronx Bombers!